I’m joining in this month’s Reading to Know Bookclub with another trip to Deep Valley, Minnesota, through Maud Hart Lovelace‘s Carney’s House Party. I read and loved Emily of Deep Valley back at the end of 2011, and while Carney’s House Party doesn’t quite come up to Emily for me, I did find it to be a light, enjoyable read just perfect for the stage of life (and pregnancy!) I’m currently in. Carney’s House Party is about one summer in the life of Carney Sibley, native of Deep Valley and rising junior at Vassar College. The story opens with her contemplating whether or not she should invite her college roommate, Isobel, home with her for the summer. Isobel is a beautiful and wealthy New Yorker, and Carney’s midwestern no-nonsense tells her how different they are. However, since her best friend from childhood, Bonnie Andrews, is also coming to spend a month with her, Carney decides to invite Isobel and make it a true house party. What follows is an enjoyable summer of parties and dances and trips to the lake, with Carney surrounded by her old “gang,” as well as one newcomer, the wealthy and rather slap-dash Sam Hutchinson. Carney’s boyfriend of four years, Larry Humphreys, also returns to Deep Valley from California with the assumed plan of making his intentions toward Carney known. This story is just good, old fashioned fun, with a heavy dose of young adult romance (of the pre World War I variety, so it’s very clean). It makes me almost (almost!) wish I could go back and relive my young adult years. (Almost!) The story does end with an engagement or two and with Carney returning to Vassar to finish out her education after a summer of fun. A couple of things struck me about this book. The most noticeable one is that it almost feels like a state of Minnesota tourism brochure at times, so much is the state lauded throughout the story. Because of Isobel’s presence (and Carney’s time at Vassar), too, there is a lot of contrast between the East and the Midwest. It is obvious that Maud Hart Lovelace loved the state of Minnesota, and of all her works I’ve read thus far, it comes through the most in this story. The other thing that stood out to me is the treatment of religion, specifically Christianity. Carrie touches on this a bit in her review at Reading to Know, and while I don’t have much to add to what Carrie says, I will note that it seems like Maud Hart Lovelace is trying to make a point of some kind. In addition to the fact that Carney seems to only appreciate or even participate in church-going in a very nebulously spiritual sort of way, Sam Hutchinson seems rather extreme in his reaction to it in that he is unwilling to attend church, even when presented with the opportunity to attend with his love-interest. This just struck me as sort of odd. I did run across Future in Handbasket: The Life and Letters Behind Carney’s House Party by Amy Dolnick, a book which tells the story of Marion Willard, a friend of MHL and the real Carney Sibley. I wonder if some of the things I’ve mentioned here that seem sort of jarring or out of place could be present in the story because it’s based on the actual lives of real people (and MHL had the letters to go from)? I don’t know, but it would be interesting to read and find out. A word of warning: it’s extremely easy to get confused about characters when you’re reading two books from the same place at the same time. I was reading one of the Betsy-Tacy books aloud to the girls (review coming this week, I hope!) while I read Carney’s House Party, and while it is neat to see the older and younger versions of the same characters, it also gets sort of muddling. Maybe that’s just me, though. Bottom line? Read Maud Hart Lovelace if you like sweet, old-fashioned stories that make you wish you could jump right into the book and become one of the characters yourself! 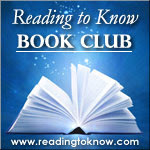 Thanks to Carrie for organizing the Bookclub and to Annette for being this month’s hostess! One thing I’ve always been struck by in Lovelace’s books regarding Christianity is that she was writing in a very different time. A time when going from the Baptist to the Episcopalian church was truly shocking. I think some of her treatment of young people’s attitudes about religion is looking at people who were raised in a time and place when most people were born into a Christian family and culturally most people were Christian and it was just assumed that you would attend church, and the same church as your family. A mixed marriage would be a Baptist and a Episcopalian. Very different from today.The adolescent questioning or figuring things out becomes slightly different in that context. So glad you enjoyed this one, as did I when I read it before. I can’t think of anything fabulous to say in response. I type in vain. The Life and Letters Behind Carney’s House Party by Amy Dolnick seems like a fantastic book to pick up if you want to know even MORE. Thanks for pointing that out to us. I don’t know how curious I am about Carney. I just finished reading Emily and I can see why people love it! (I did!) It has been fun to familiarize myself with the Deep Valley crowd this month though. Glad for the excuse! I included some of the music from the book’s parties in my post. As you can read, I enjoyed the light-heated and old-fashioned attitudes in the book and didn’t try to read any deep message into it.